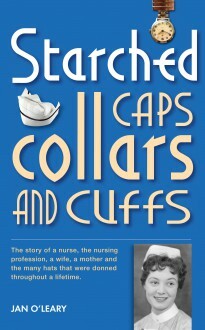 All Jan Tedstill ever wanted to do as a girl was to become a nurse. She got her wish at sixteen with a training place at an orthopaedic hospital, but it wasn’t long before adventure called and she joined Queen Alexandra’s Royal Army Nursing Corps, the nursing arm of the British Army. It was while serving overseas that she met her future husband, a dashing Gurkha officer. Returning to nursing back in the UK after raising a family, Jan quickly moved on to an industrial job in occupational health and then into a colourful and exhausting district nursing post. She finally retired in 1991, after experiencing the political pressures of a job in liaison nursing. Then, within weeks of retirement, disaster twice struck closer to home – and Jan had to devote much of her time to caring for her own critically-ill daughters. Now, from the peaceful perspective of her seventies, she has written her story.